Actual colors may vary due to display differences. May not be the Adirondack. Shown with optional black aluminum trim. T-Formex canoe shown with Standard Options, may not be the Adirondack. Tuf-weave® Flex-core canoe shown with Standard Options, may not be the Adirondack. 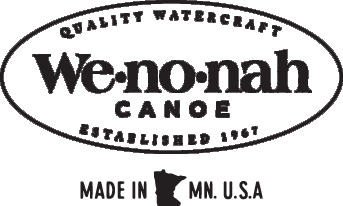 Kevlar® Flex-core canoe shown with Standard Options, may not be the Adirondack. Kevlar® Ultra-light canoe shown with Standard Options, may not be the Adirondack. AI Ultra-Light canoes are made from polyaramid, Innegra and Kevlar®. The outer laminate layer is a crowfoot weave of polyaramid and Innegra. Innegra is a high-tech polypropylene fiber with high flexibility provides enhanced impact and puncture resistance.This stylish fabric is backed with Kevlar and our foam core technology for added stiffness and floatation. AI canoes are outfitted with curved web seats mounted on integrated wood mounts and a scratch concealing white gel-coated belly. Black aluminum gunwales and ash yoke are standard. All wood trim is available at an additional charge. 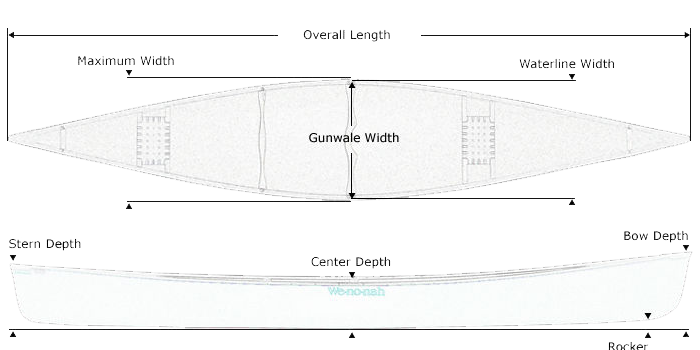 The result is a great looking canoe with enhanced robustness for challenging conditions and discerning paddlers. AI Ultra-light canoe shown with Standard Options, may not be the Adirondack.